Georgio Sabino III is an artist/entrepreneur, art educator and activist. As chief visionary and prime strategist of GS3 Inc., he engages a partner-focused, collaborative approach to business and the arts that include art and fashion, sports and entertainment. Sabino has worked with celebrities such as R&B vocalist Jill Scott, professional athletes, and prominent members of the political, religious and entertainment communities. 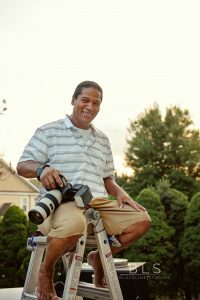 His most recent highlights have included visits to The White House capturing championship photos of the Cleveland Cavaliers and Ohio State Buckeyes, as well as both Presidential inaugurations of Barack Obama. Long an advocate of civic engagement, education and mentoring, Sabino also has served as the photo editor of City News USA, FraserNet Power Networking Conference, as a Congressional Art Show judge with the former Stephanie Tubbs Jones, Marcia Fudge and contributed to numerous community organizations. 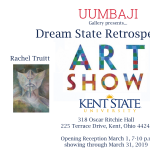 He is a native Ohioan, an alumnus of Kent State University, with a master’s degree art education from Case Western Reserve University/Cleveland Institute of Art in 2009.